I am posting a letter addressed to Shri K Suresh Kumar, Under Secretary, CS II Section, DoPT returning the proposal for the upgradation of Grade pay of LDC and UDC on the ground given therein. This letter was not attached with the original documents while returning the case to the Association by the CS II. Shri Bipin Kumar Pandey has obtained this letter through RTI and forwarded to me through e-mail. In para II it is stated that no anomaly item related to the upgradation of the grade pay of LDC and UDC is pending with the National Anomaly Committee. The matter was discussed with Shri S.K. Vyas, who representing the Confederation in the National Anomaly Committee. Shri Vyas has informed me that 11 additional items including item related to the LDC & UDC, have been admitted for discussion in the National Anomaly Committee. Shri Vyas further said that the assurance of taking up these items in the final meeting of the National Anomaly Committee was given to the Staff Side. But any initiative to conduct the final meeting of the NAC has not been come up from the side of the Government. Thus the statement given by the Deputy Secretary (JCA) is not in match with the statement of Shri Vyas, Member NAC. It is to be noted that in Para IV the Deputy Secretary suggested the CS II to take up the upgradation work of the Grade pay of LDC & UDC in consultation with the Department of Expenditure which itself speak the genuiness of the issue. Sub: Upgradation of Grade Pay of LDC and UDC in the Administrative branch of Government of India Offices. The undersigned is directed to refer to CS II ID No. 25/2/2013-CS. II (B) dated 13/08/2013 relating to PMO ID No. 4/3/2013-PMP4/67682 dated 15.07.2013 on the subject mentioned above. It is noted that the General Secretary of All India Association of Administrative Staff (NG) has demanded revision of Grade pay of LDCs and UDCs in the Administrative branch of Government of India. This is not an issue of anomaly and no such item was before the National Anomaly Committee. In this regard it may be noted that the Sixth Central Pay Commission had recommended a hierarchical structure and revised pay scales for the Central Secretariat in Para 3.1.9 of its report. A similar recommendation in respect of Non-Secretariat Organization had been made in Para 3.1.14 of the report. Sixth CPC has granted parity in hierarchical structures and revised pay scales to posts existing in the Central Secretariat and Non-Secretariat Organizations up to the level of Assistant. Accordingly, Sixth CPC granted identical revised pay structures to LDCs, UDCs and Assistants both in Central Secretariat and Non-Secretariat Organizations. Accordingly, the demand of the All India Association of Administrative Staff(NG) for the revision of the Grade Pay of LDCs and UDCs in the Administrative branch of the Government of India is required to be considered by the CS II Division (which deals with the LDCs and UDCs of CSCS) in consultation with the Department of Expenditure who are the nodal Ministry in respect of CCS (Revised Pay) Rules, 2008. JCA Section has no role in this issue. This reference in original is accordingly returned to CS-II Division for action as appropriate. No confederation / federation come forward to help LDC and UDC for a great injustice. If this injustice happen to Industrial personal definitely they will conduct indefinite strike as they are having union. LDC/UDC they are not having any right to strike and they will never achieve any demand. 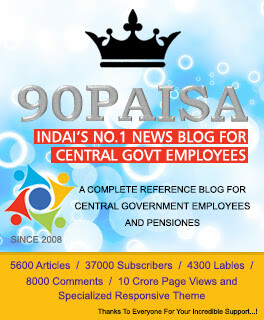 Officer and Industrial personnel is only enjoying their life in Central Govt Department. Middle class post like LDC/UDC/OS they are not enjoying life as they do not have any strike and power to achieve their Demand. t is not true. The fact is that the Administrative staff, including the LDC & UDC, is not intended to organize themselves. In majority of the Departments of Government of India Administrative Staff is functioning as part of the Federation wherein Technical/Industrial staff are in majority as such the Administrative staff have no role to play in the functioning of the Federation and thereby the majority group ignores the genuine issues of the Administrative staff. Whereas the Ministerial Staff is the main player in the office establishment, they should have the determination to bargain for the achievements of their demands in the respective Association/Federations and the Association concerned should be pressurized to speak for the interest of the Administrative Staff also. I myself have been appealing all Administrative Staff to raise the issue of the LDC/UDC & MACP in their respective units of the Association. But majority of them ignored my request resultantly we could not be in a position to achieve the support of majority of the Association/Federations on the issue. Moreover, it is not the fact that LDC & UDC cannot strike. They can strike for their genuine demands. But the said strike should have been conducted under proper guidance and call of an organization where he is a member. Since there is no common organization is available for the Administrative Staff or LDC & UDC and as such these section are not in a position to organize a strike action of their own. It is high time, all Administrative Staff/LDC & UDC are requested to take up the issue in their respective organization in its own seriousness and ask the Association to raise the issue directly to the Government so that the Government should realize the importance of the issue and the massive support getting to resolve it as well.